This New York Times story connects Natalia Veselnitskaya, who is now connected with Donald Trump, Jr, to Russian propaganda. No, Donald Trump, Jr. is not connected with Russian propaganda, don’t make that leap. First, a few words of context. I know of many more cases of Russian Information Warfare failing than I do of their success. Truth be told, the vast majority of Russian IW are abject failures. The perception, however, is that Russian IW is efficient, effective, and has tangible results. Like brainwashing, however, it has extremely limited success. The problem is we do not measure. Sure, the Columbia School of Journalism is going to do a great study and conclude Russian IW was not only used during the US 2016 Presidential election but that it was also effective. The problem is it will not based on quantitative studies, not on hard data. On the other side, the US’ Broadcasting Board of Governors says it is measuring Measures of Impact. According to their latest annual report, they showed two measurements, but neither was quantitative. MOI, however, is a far improvement from Measurements of Performance. ‘We added 5,000 watts of power to the transmitter’ – so what? 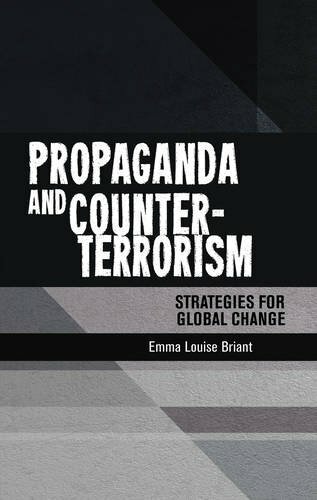 Not only do we in the US and the West need to counter Russian IW, we also need to quantitatively determine what propaganda, what disinformation, what misinformation, and what active measures are being used against us, how, how much, by whom, and who is funding, organizing, and planning their operations. Now back to the story of how Natalia Veselnitskaya is connected to a Russian propaganda effort. On our minds: A pretty telling story from the recent past of a Russian lawyer connected to this week’s Trump revelations. 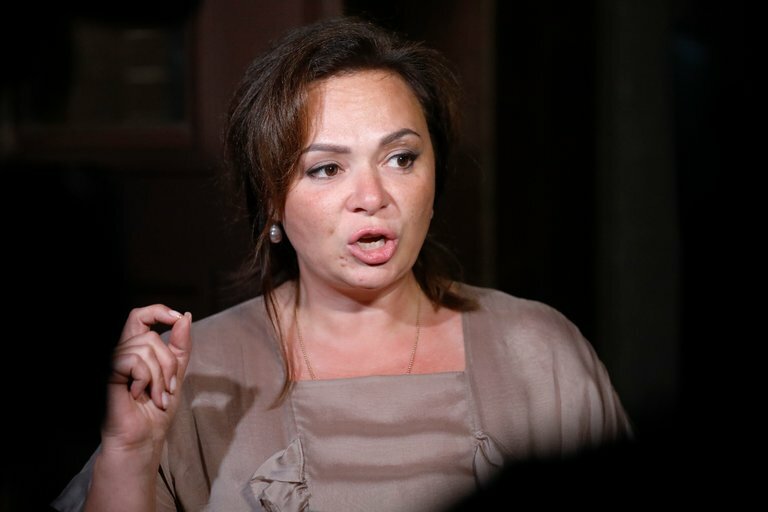 We wanted to share a little story from the recent past of Natalia Veselnitskaya, a Kremlin-connected Russian lawyer who features in this week’s news about Donald Trump Jr. That story, we think, says a lot about Russian power, how it works and when it doesn’t. To catch you up to speed, the younger Mr. Trump, who is the president’s son, met last June with Ms. Veselnitskaya on the promise of documents that would incriminate Hillary Clinton. An email to Mr. Trump setting up the meeting said the information was “part of Russia and its government’s support” for his father.But this newsletter is not about Mr. Trump. Rather, it’s about Ms. Veselnitskaya and a little imbroglio she found herself in a few months earlier in Belgium. But this newsletter is not about Mr. Trump. Rather, it’s about Ms. Veselnitskaya and a little imbroglio she found herself in a few months earlier in Belgium.Ms. Veselnitskaya, you see, spent part of last year organizing showings for a film called “The Magnitsky Act: Behind the Scenes,” including at the European Parliament in Brussels. Ms. Veselnitskaya, you see, spent part of last year organizing showings for a film called “The Magnitsky Act: Behind the Scenes,” including at the European Parliament in Brussels. It’s about Sergei Magnitsky, a Russian lawyer who helped to expose government corruption, was arrested and died after being beaten in prison. Mr. Magnitsky’s case prompted such outrage that in 2012 Congress passed the Magnitsky Act, which sanctions Russian officials responsible for human rights violations.The movie alleges that Mr. Magnitsky never implicated Russian officials and wasn’t beaten in jail. It also accuses William F. Browder, Mr. Magnitsky’s former employer and the driving force behind the Magnitsky Act, of being responsible for the corruption Mr. Magnitsky uncovered. The movie alleges that Mr. Magnitsky never implicated Russian officials and wasn’t beaten in jail. It also accuses William F. Browder, Mr. Magnitsky’s former employer and the driving force behind the Magnitsky Act, of being responsible for the corruption Mr. Magnitsky uncovered.To call the film controversial is an understatement; it’s been denounced by human rights advocates and journalists as full of untruths meant to malign Mr. Magnitsky and Mr. Browder and to protect the Kremlin. To call the film controversial is an understatement; it’s been denounced by human rights advocates and journalists as full of untruths meant to malign Mr. Magnitsky and Mr. Browder and to protect the Kremlin.Ms. Veselnitskaya had reason to want the film shown. At the time, she represented a Russian businessman who was under investigation in the United States for money laundering connected to the Magnitsky case. The Kremlin, to which she has close links, has made repealing the Magnitsky Act a top priority. Ms. Veselnitskaya had reason to want the film shown. At the time, she represented a Russian businessman who was under investigation in the United States for money laundering connected to the Magnitsky case. The Kremlin, to which she has close links, has made repealing the Magnitsky Act a top priority.Which brings us back to Brussels. Ms. Veselnitskaya had helped arrange the screening, which had all the hallmarks of a Russian influence operation. Which brings us back to Brussels. Ms. Veselnitskaya had helped arrange the screening, which had all the hallmarks of a Russian influence operation.There was the up-is-down reality distortion of the film itself. The Kremlin often undermines opponents by releasing compromising information, known as “kompromat,” that can be real or fake but manufactures public cynicism and confusion. There was the up-is-down reality distortion of the film itself. The Kremlin often undermines opponents by releasing compromising information, known as “kompromat,” that can be real or fake but manufactures public cynicism and confusion.There was the Russian media hall of mirrors. Five pro-Kremlin outlets sent TV crews, ensuring near-Olympics-level coverage. This is also a common Russian tactic: make an assertion and then relentlessly cover it as fact until it becomes mistaken for truth. There was the Russian media hall of mirrors. Five pro-Kremlin outlets sent TV crews, ensuring near-Olympics-level coverage. This is also a common Russian tactic: make an assertion and then relentlessly cover it as fact until it becomes mistaken for truth. There was the brazen defiance of international norms. Two officials who had been linked to Mr. Magnitsky’s death attended, a signal that Moscow saw the accusations as illegitimate and would ignore international pressure. And there was the imposition of a false reality. If past Russian efforts are any guide, then the event was meant not just to impugn Mr. Magnitsky but to imply that the European Union, by hosting the film, was finally waking up to the truth of Moscow’s innocence. But this story has a twist, which is why we wanted to raise it. (If you followed this all as it happened, you already see the twist coming.) The operation fell flat, and arguably even backfired. The screening was canceled at the last minute. The chairman of the European Parliament’s foreign affairs committee, Elmar Brok, told Radio Free Europe, “This is a piece of propaganda that should not be part of our parliamentary work.” The next day, a pan-European TV channel canceled its own plans to show the film. The incident also appeared to offend many in the European Union and galvanize them in support of Mr. Magnitsky’s fight against corruption in Russia. In other words, the whole affair may have harmed more than advanced Russian interests.That is the side of Russian influence operations you hear about less often. Yes, these operations pose a serious and growing threat to the Western order. That is the side of Russian influence operations you hear about less often. Yes, these operations pose a serious and growing threat to the Western order. But it’s worth remembering that this is still Russia, a country that has seen its geopolitical position decline steadily for years. Since it ramped up these influence operations, starting around 2013, it has gotten itself isolated and sanctioned, its economy has tanked and it has become mired in wars in Ukraine and Syria. It is easy to be dazzled by these influence operations and mistake Russia for an all-knowing superpower executing one brilliant chess move after another. It is not. It is, nearly every Russia expert agrees, driven primarily by fear and weakness, and with reason. Ms. Veselnitskaya’s misadventure in Brussels is a reminder of that.